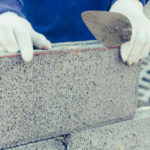 Mortar is generally made from a mix of Portland cement, hydrated lime, sand and water, albeit there are many different classifications of mortar. There are also various classifications of masonry walls, including hollow or cavity, reinforced, load bearing and composite. Masonry walls are incredibly strong, responsible for regulating temperature as well as holding your home up. Mortar provides a great deal of stability and strength to masonry walls, without it the entire wall would topple over in no time. Mortar and masonry work together to form the walls that provide you with privacy, security and peace of mind. Mortar is measured in pounds by square inch, psi. While it’s easy to assume stronger mortar is always better, that is not necessarily the case with mortar. 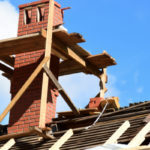 Appropriate mortar strength is dependent on each individual project. When mortar is stronger than the masonry unit, it overstresses the brick or other masonry materials, eventually leading to damages. That’s sort of like a babysitter that harms babies. Mortar is trusted to protect masonry materials; it’s not supposed to harm them. 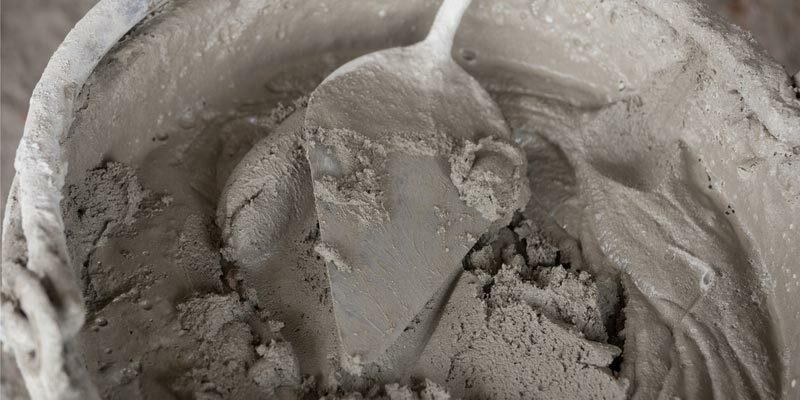 Type M (min 2,500 PSI): Most commonly used with stone, type M mortar is one of the strongest variations. Type M mortar mimics the strength of stone. This type of mortar may be recommended for masonry units with high compressive strength, as well as for projects in which you are working against gravity or with more extreme lateral loads. Type S (min 1,800 PSI): Similar to type M, type S mortar is considered above average strength making it desirable for below grade applications. It is often recommended for projects in which masonry has direct contact with the ground. It possesses higher bonding and lateral strength and better resistance against moderate soil pressures. This makes it a good fit for exterior walls, patios or shallow retaining walls. Type N (min 750 psi): Type N mortar is a general-purpose mortar with some flexibility. Its flexibility makes it ideal to use with semi-soft stone or masonry. Opposite from Type M and Type S, Type N can be used for load-bearing exterior walls that are above grade or reinforced interior. Type O (min 350 PSI): Type O mortar is easy to work with and low strength, which makes it a useful resource for repairing mortar on pre existing sound structures. Lower mortar strength is more flexible and that helps prevent cracking. Type O mortar is commonly used for interior applications that are non-load-bearing. 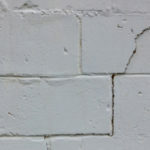 Type K: While Type K Mortar is no longer listed under ASTM C 270 classifications, it is still used for historical masonry repairs in Toronto, and elsewhere around the world. K mortar has the lowest compressive strength and is a preferred mortar for historical preservation projects. This mortar has the right ‘finesse’ for the job, just enough strength to get the job done without causing damage to fragile historical materials. We treat each historic masonry building as a unique identity. In order to properly match mortar, we conduct tests to see what type of mortar mixture was used in the original construction. From this information, we can create the perfect mortar mix for historic masonry repairs that add value to your property. Hollow or Cavity Masonry Walls: Most commonly used in modern construction, hollow or cavity masonry walls have a hollow space between the outside and inside frontier of the wall. This design is intended to prevent moisture from entering the main structure. It also makes it more difficult for heat to pass through walls, providing better interior insulation. Load Bearing Masonry Walls: Load bearing masonry walls can be reinforced or unreinforced and they can be interior or exterior walls. Going back to the basics, a load-bearing wall is one that supports weight through the foundation of the structure. Reinforced Masonry Walls: Reinforced masonry walls can be load bearing walls or non-load bearing walls. 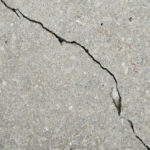 Un-reinforced walls are at risk for cracks and structural failure, especially due to earthquakes or heavy rain and wind. Reinforced walls help prevent these failures by horizontally and vertically reinforcing the wall. The amount of reinforcement and particular placement of them is determined by the structure and its conditions. Post-Tensioned Masonry Walls: Similar to reinforced masonry walls, post-tensioned masonry walls help protect against things like wind and earthquakes. Post-tensioning rods add strength by running vertically through the wall, as opposed to both horizontally and vertically as with reinforced masonry walls. Rods start at the foundation and go up the wall, all the way to the top where they are anchored and tensioned into place. Composite Masonry Wall: Composite masonry walls enhance appearances by using two types of wythes and bonding them together. For example, a composite masonry wall might use brick as the first wythe and stone or hollow brick as the other. They are then interconnected using steel ties or joint horizontal reinforcement.